Undecided Voters (in Swing States? ): Who Are Those Guys? 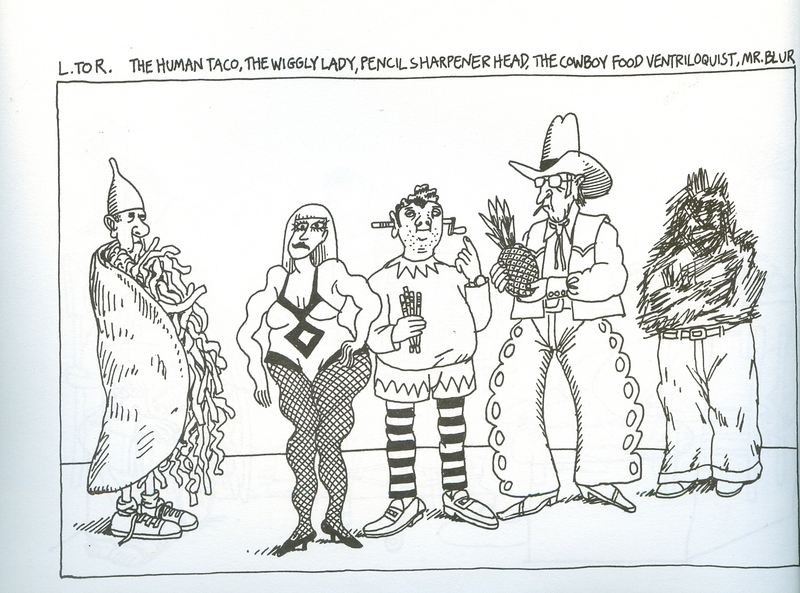 The Pew Research Group,* along with documentary artist B Kliban, have identified a small but crucial block of undecided voters. Their different stripes, flavors, talents, spinal densities and erase-ial makeup reflect a range of American diversity that social and political scientists have heretofore been unable to ascertain,” Pew’s Ralph Schmortz commented. Interviews with the potential voting group confirmed that they remain uninfluenced by televised debates and the incessant hounding of campaign advertising, whether negative, slide, print or digital. The Cowboy Food Ventriloquist was quoted (through his pineapple), regarding President Obama, “Squish, squish.” As for Gov. Romney, he summed up his opinion accordingly, “Drip, drip.” Researchers confirmed that at no time during the interview did the lips of the Texas ventriloquist ever move. 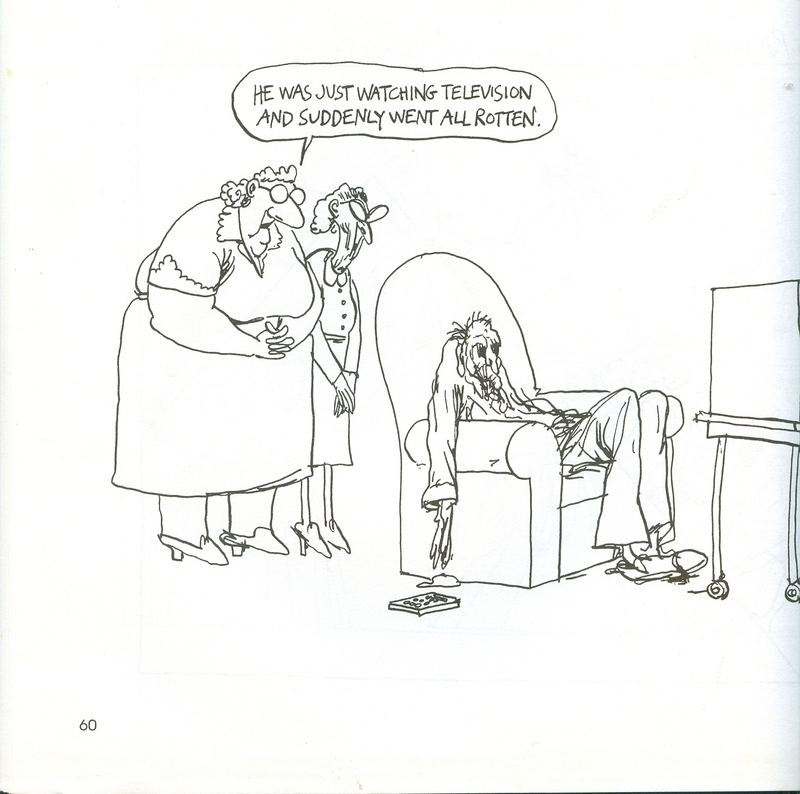 Furthermore, in the following scene, Kliban documented the now-explicily negative effects of negative political advertising on television. All seriousness aside, both campaigns still have their work cut out for them, he added. * Just as we should remain skeptical of allegedly factual statements of candidates and their campaigns, Pew advises voters, decided and undecided, to not believe everything they read in blogs.